This residence is an owner-built house that dates from 1880. 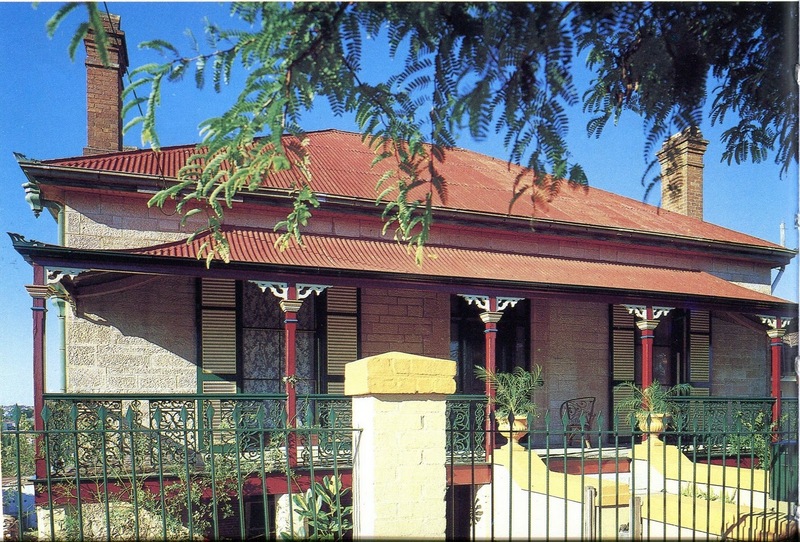 The owner and builder was Mr William McCallum Park, a master builder who, amongst other projects, constructed such fine buildings as the original Brisbane Grammar School and the first Colonial Mutual office. He also supervised the construction of St Paul's Presbyterian Church. Park was a keen lawn bowler, being a member of Brisbane's first bowls club at the site of the Botanical Gardens, and he built the green when it moved to Roma St - it later amalgamated with Boroodabin Bowls Club at Bowen Hills. At his death in 1934 at the fine age of 97, Park was lauded as "Australia's oldest bowler", and it seems that he would have been more than happy with that description. This house, Craigerne, is currently surrounded by a two-metre hedge acting as a barrier to noise, as it is situated on a corner block on quite a busy road in the inner-north suburb of Red Hill. The side street is Park St, and I assume that is in remembrance of the original owner. My photo gives but a glimpse of the front fence and gate, together with the front entrance and a plaque showing the name of the house. An older photo of the two-storey residence can be seen here. The exterior walls are constructed from random rubble masonry and internally there are no fewer than eight fireplaces. The Park family only lived in the house for three years before moving out and putting it to rent. Perhaps it was too hot! 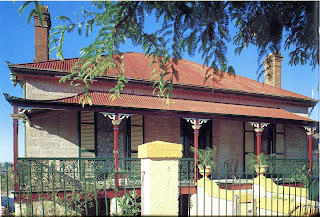 The house is listed on the Queensland Heritage Register, and apparently a restoration was undertaken in the eighties.